With their distinctive piney, floral flavor and spicy aroma, limes are a staple in many international cuisines. The most acidic of citrus varieties, limes have a wide array of culinary uses from marinades and desserts to soups and beverages. Classic lime flavor, tart, acidic and seedless. Extremely flavorful, Persian limes are a go-to in regional cuisines everywhere. Persian limes are less acidic and less bitter than other lime varieties. Typically sold while still dark green, these limes become light green as they ripen. Persian limes are available year-round. Key limes are also known as Mexican or West Indian limes. Key limes are highly aromatic and intensely flavorful with high juice content. Key limes are generally small and round with a thin, leathery skin and a straw yellow flesh. Key limes are available year-round. A citrus variety unlike any other. Finger limes are also known as caviar limes due to their flesh, which is sometimes described as citrus pearls. 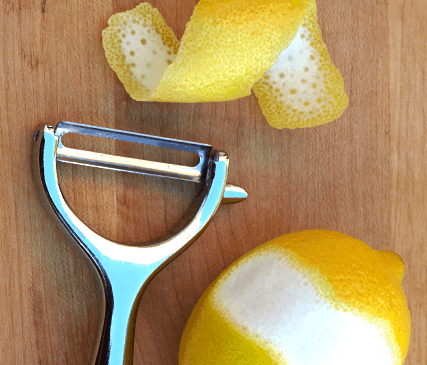 Finger limes add a vibrant, citrus burst to any dish. Finger limes have a deep green exterior and light green interior pearls that can be squeezed from the peel. This relatively new variety has limited availability. Before preparation, store citrus in a cool, well-ventilated area. To maintain air circulation, keep cartons off the floor by placing them on pallets or racks. The U.S. Department of Agriculture recommends that produce be rinsed before eating or preparation. Detergent should not be used as it is not labeled for food use. The best temperature range for limes is between 45° and 50° F.
Sunkist® lime size designations, printed on every carton, state the number of limes in the carton, and indicate the size of the individual fruit within. For example, a carton of “200s” contains 200 medium-size limes. A carton of “250s” holds 250 small-size limes, while a carton of “110s” contains 110 very large limes.